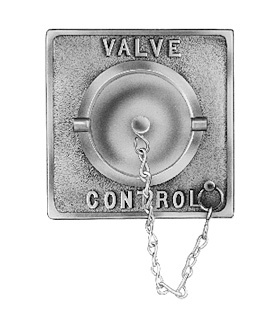 Moon valve control is furnished with a 1/4" square steel extension rod 24" long that has a special coupling for attaching to gate valve stem. Furnished complete with cap and chain. Diameter of hole required in wall is 2 1/2". Finish: cast brass. Optional: polished brass or chrome plated.